Halloween has become a more popular thing in Britain over the past few years. More people are hosting Halloween parties and carving up pumpkins. But the efforts in the U.K to get in the Halloween spirit, still do not compare to the Halloween celebration found in America. Since Halloween is known for scary movies and classics like the Rocky Horror Show, Brits really put Halloween into action when dressing up. You will only find horrifying make up or people dressed as vampires and witches to really gain the scare factor. However, for Americans, they dress up in any costume they like! From superheroes to Disney princesses, Americans do not push the scariness as much as you might find in the U.K. Although trick or treating does happen in the U.K, it does not compare to the streets of America that will be filled with kids! Similarly, with Halloween events, America holds big parades in most states, one of the most famous being held in New York City. In the U.K, Halloween events tend to be more on the lines of visiting actual castle dungeons and historical spooks sites. 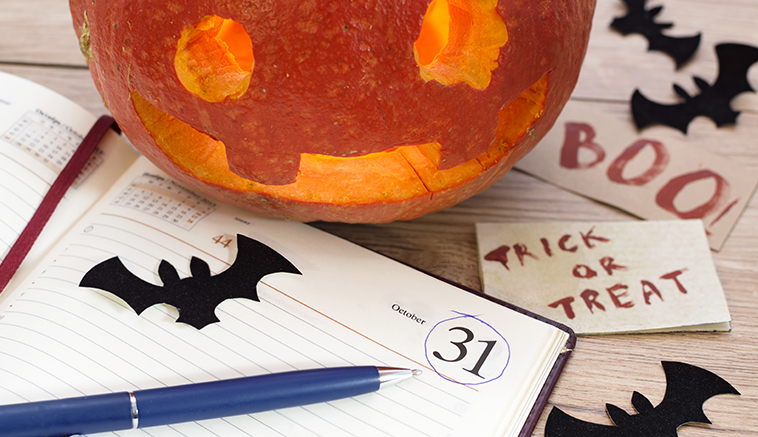 However, whether you’re in the U.K or the US, Halloween gives offices the chance to add some fun and games to the working week, dressing up, decorating the office or just ordering extra sweets and treats with your regular stationery order. If you want to add on those last minute tubs of sweets, contact us today just in time for your Halloween party!